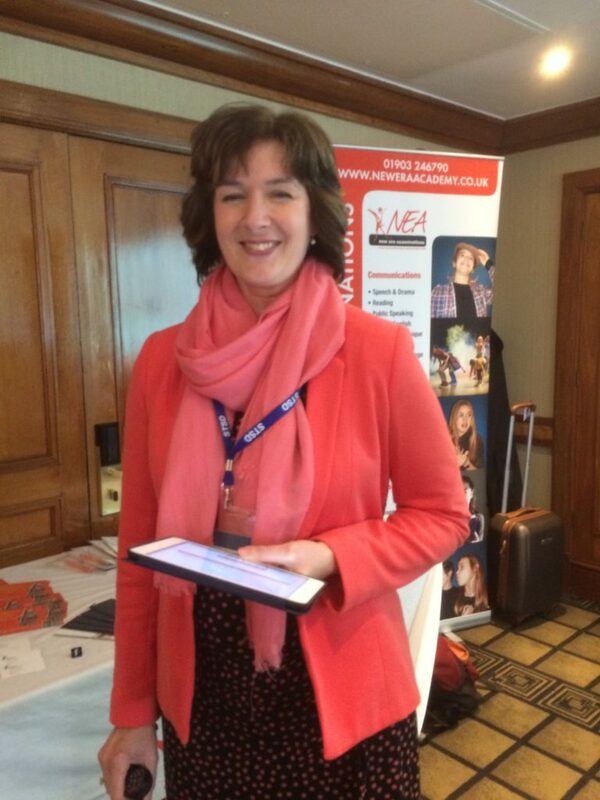 A brief review of of our STSD 2018 AGM recently held at The Amba Hotel Marble Arch. It was an excellent day to meet up with colleagues and friends old and new. ideas and views on teaching, examining, adjudicating, voice coaching and all related subjects. The tote goodie bags on our seats held excellent teaching material, books of anthologies, theory, pens, pencils, vouchers etc. It was worth going for these alone! Anne Jones our secretary, read her yearly report and it had indeed been a most inspiring year for the society. Paul Bench our Chair is leading us onward and upward and he is always most encouraging and supportive of everyone. Especially new ideas that will put STSD in the limelight with strong new connections. The various colleges, LAMDA, NEA, Trinity and Victoria gave presentations on how they run their examinations and had a most helpful question and answer session. 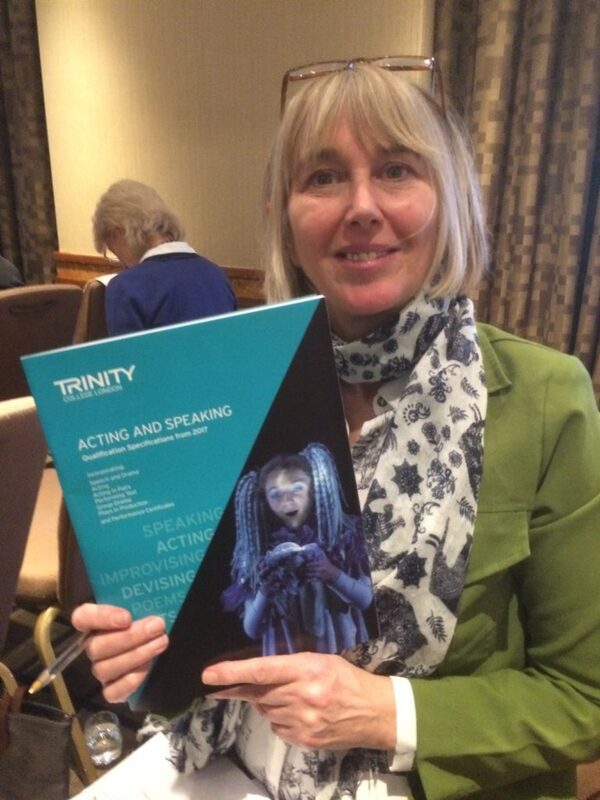 The guest Speaker was Voice Coach, Jane Boston from The Royal Central School of Speech and Drama. RCSSD. Jane is currently the Principal Lecturer leading the MA/ MFA in Voice Studies. Several members thought it would be extremely useful to invite Jane back for a workshop. Lunch was very lively affair, with the air full of raised dramatic voices between mouthfuls of a delicious lunch. The afternoon guest speaker was Jeremy Jenkins, Curator for Contemporary British Publications at the British Library. This proved to be a most fascinating insight to what goes on behind the scenes. The venue and the days events were expertly arranged by Helen Duncan. 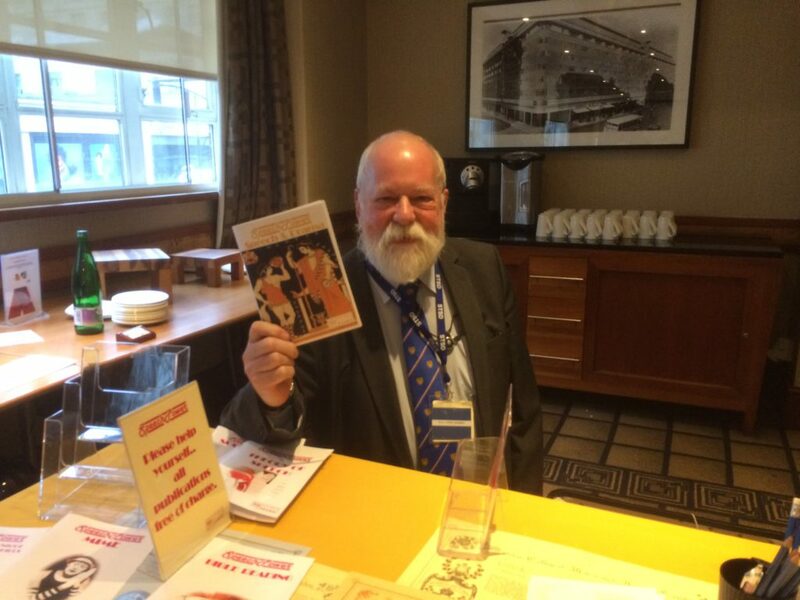 If you missed the AGM you missed a treat. Photos credited to Lynne Collinson and Thérèse Williams. 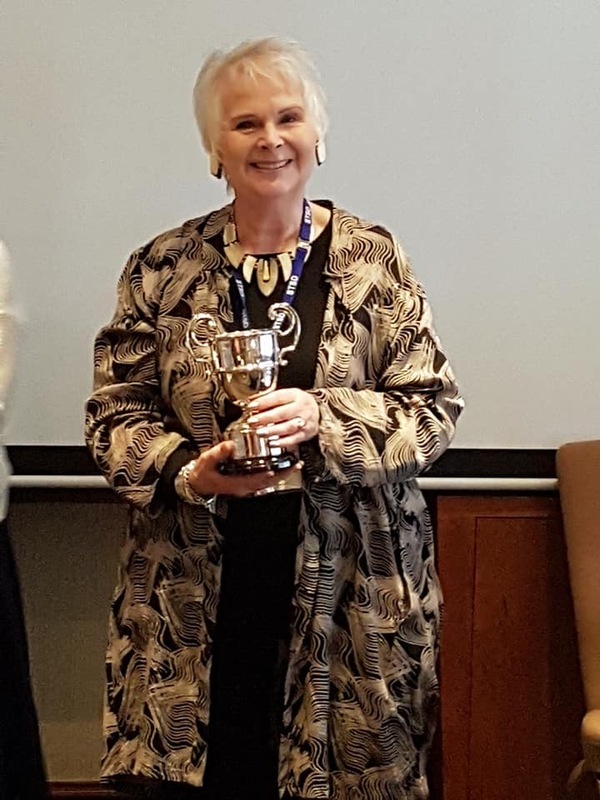 Council and publicity committee member Thérèse Williams was honoured to receive the Pru Schacke- Andersen trophy for her services to the Society from Chair Paul Bench. 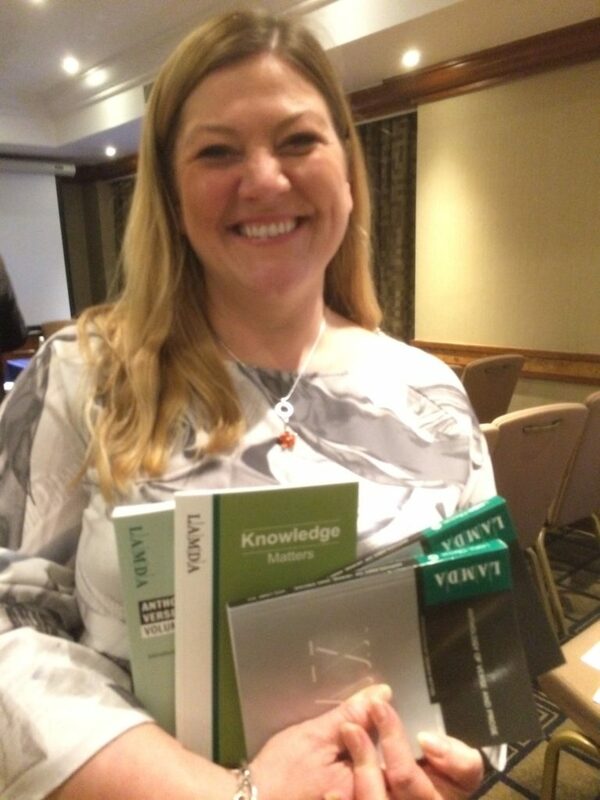 Jayne Buchanan looking delighted with the contents of her goody bag. 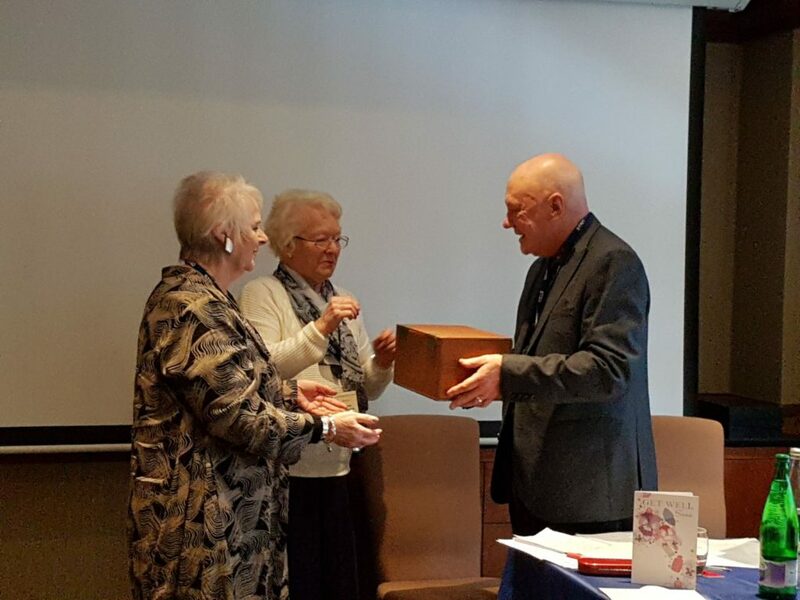 Thérèse Williams and Paul Bench, with secretary Ann Jones.